Here at Lemke Company, we have the best professionals near Murray, Draper, and Salt Lake City who can help with drywall repairs, concrete services, or framing services. Additionally, our local roofing contractor near Cottonwood Heights, West Valley City, and West Jordan is the best in the area and will be sure to provide you with a stable, professional roof. If you are in need of the best construction company and you are close to Herriman, Riverton, or Magna, our professional and innovative team here at the Lemke Company is here to provide you with the best building service in the area. It is our mission to ensure stable, affordable, and professional construction services so that you feel safe and secure in your beautiful home. Feel free to stop by or give us a call if you have any questions or concerns or if you would like to get started on your construction project today! We are open 24/7 for your convenience. WE NOW ACCEPT HANDYMAN REQUESTS! We are long-time Utah residents and enjoy working with local craftsmen and women to deliver high quality results for our clients. We have years of experience in all facets of construction and pride ourselves in our ability to maintain a high level of quality to each job we have the opportunity to manage. We can create custom homes but we specialize in updating bungalow style homes, updating older home of any type. Kitchen, baths, great homes, basements, decks, porches. We are responsive to phone calls, emails and texts and take pride in connecting with our clients and prospective clients timely. When you contact us, we call you back! Our work areas include in Salt Lake include the Avenues, Sugarhouse, Cottonwood Heights, Olympus Cove, Federal Heights and areas north of Sandy. We also work in the Farmington, Centerville and Bountiful areas. Foremost Interiors is a full service company catering to the design trade, contractors, and home owners. With an emphasis on interior design, we offer a wide selection of products from the traditional to the unique. Foremost Interiors is unrivaled in the depth of our collection. Servicing both residential and commercial design, our products range from commercial and residential carpets and rugs, to wood, tile, stone, vinyl, VCT, marmoleum, window coverings, countertops, sink vanities, sinks, and much more. We oversee projects ranging in scope from small bathrooms to large custom homes to commercial buildings and everything in between. With over 36 years of experience, our staff is knowledgeable about our products and our installers are licensed, insured, and qualified to handle any project. 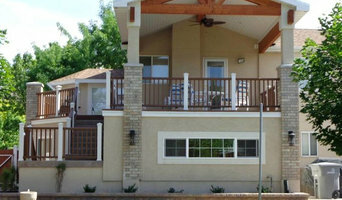 DFS Construction is a Utah based company that does much more than your typical general contractor. We are licensed, insured and guarantee our work. We are very proud of what we do and how we help our clients get exactly what they want. Whether it's a bathroom remodel, the deck you've always wanted, or building the home of your dreams - we have the expertise and experience to help you get where you need to be. Salt Lake City Custom Hardwood Floors Best of Houzz 2015, 2016, 2018! Welcome to the Wood Floor Warehouse. We have been located in Salt Lake City, UT for over 15 years now. Our family has been in the wood flooring business for over a half a century when Grandpa Tolman started it all in 1947 in Dallas, TX. We've come a long way since those days and are not only selling beautiful floors but have actually started manufacturing our very own line right here in Utah, which are sold around the world! We offer our customers amazing deals, great product selection, classes for the do-it-yourselfers who want to learn to lay their own floors, ( with FREE tool rental ), or choose from one of our professional installers that we highly recommend. We boast a wide variety of all sorts of domestic and exotic woods in every color and style imaginable! We pride ourselves on product knowledge, excellent customer service, and giving you, the customer, exactly what you are looking for! So if your looking for flooring, you can shop from home on our website, or if you're local, stop by and talk to us face to face and let us take care of making your dream floor a reality! Either way, we look forward to seeing you soon! Phil's Fine Flooring & Design Center is happy to serve Salt Lake City Utah, and surrounding states. With excellent professional service, competitive prices, and friendly installation. With our exceptional services, you'll feel comfortable knowing the job will be done right. In addition to our broad selection of flooring products,we have a very knowledgeable experienced staff including in house Interior Designer, Kelly Winn. All of our staff are constantly learning about the newest trends and most technologically advanced materials in the flooring industry. Whether you're considering carpet, tile, vinyl, wood floors, counter tops or window coverings, rest assured, you'll be selecting from high quality and products and working with a dependable company. We have built our reputation on quality products, professional design and installation. We sell and install Solid Hardwood Flooring, Engineered Hardwood Flooring, Laminate Flooring, Carpet, Cork, Rubber & Plank Vinyl Flooring. We sand & refinish hardwood floors and more. Vama Flooring is a full service flooring contractor. We have been in the business since 2006, and during our 10 years we earned the trust of our clients, which is reflected in our many glowing reviews and awards. We are fully licensed and insured for our trade. We at Euro Hardwood Flooring bringing you different solutions to your flooring needs. Specilaizing in solid hardwoods, enginireeing hardwoods, sand & finish, refinish, deep cleaning and more… Call us now for free measure and experts consultation. PERSONABLE | ACCOUNTABLE | EXPERIENCED Blackdog Builders, Inc. was started in 2005 on a solid base of over 30 years of building experience in the Park City and Salt Lake City areas. Since then we have grown and diversified into providing design-build, construction, and management services for residential and commercial projects. We take pride everyday in working with homeowners, design firms, and architects to achieve their vision. At A Plus General Contractors we are dedicated to our client’s needs and expectations, by giving A+ service at every job, to every client. We are a referral based company, so we strive to make your project as pleasant as possible. Our goal is to accomplish yours! Utah EZ Pay Home Improvements. Home of the 1% Financing! A $7,500 Job is Only $75 a month! 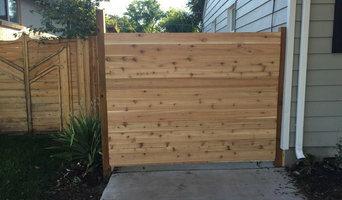 Home improvement and remodeling services for homeowners along the Wasatch Front including Utah, Salt Lake, Davis, Weber, Summit, Wasatch and surrounding areas. We pride ourselves on the quality of our work and outstanding customer service. Nothing is more gratifying to us than a happy client at the end of a job. To our future clients, we are available now to provide you with an estimate, or begin your work. We guarantee all of our work for 5 years against defects in materials and workmanship. We specialize in painting, wall repair and skim coating, any type of tile work, flooring, kitchen and bath remodeling, to complete apartment and home renovations. Call us, when you want quality reliable work at fair prices. We also do repairs on poorly done work, and completion of unfinished work. Are you living in the home of your dreams–except for the lack of space or design? This means that you’ll need a design build contractor to help you. Fortunately for you, we are here to make your remodeling easier. 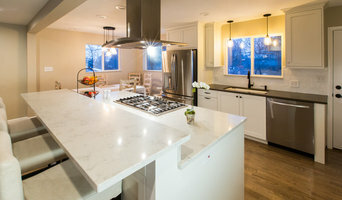 Locally-owned Topp Remodeling & Construction Inc has been serving the Salt Lake County UT, Summit County UT and Utah County, (Metro) areas with high end, customized homes & customized remodeling since 1995. If you are looking to have major adjustments made on your home, give the Topp Team the opportunity to earn your business. You are guaranteed to be satisfied!